"In just the first year, our Net Promoter Scores® - at 90% - are consistently higher than most consumer brands¹ and hospitalization rates declined by 40 percent for our patients who have been engaged for at least one year²." PHOENIX & DENVER & SEATTLE--(BUSINESS WIRE)--To offer patient-focused care for Medicare beneficiaries, Iora Health and Humana Inc. (NYSE: HUM) have teamed up to add five additional Iora Primary Care practices to Humana’s Medicare Advantage Plan networks in Arizona, Colorado and Washington state. Humana is adding these new Iora Primary Care practice locations to its network in an effort to improve access to care and quality of care while increasing patients’ ability to manage their own care to improve their health and well-being. The new practices, operated by Iora Health, accept certain Medicare Advantage plans administered by Humana and do not accept Medicare Advantage plans administered by other carriers. Humana’s value-based relationships with providers, like Iora, are aimed at transforming health care by offering proactive, personalized care for Medicare beneficiaries. Humana and Iora strive to meet monthly to review member cases and issues. This helps ensure that members aren’t simply treated for what ails them, but are also provided with a more comprehensive team working on a plan to keep them on the path to their best health and ensuring they receive a health care experience designed with their needs foremost in mind. The Iora practices will start seeing patients on Oct. 3, 2016. Smaller panel sizes than the industry average so that doctors can spend more time listening to patients’ needs. Integrated care team that includes doctors, Health Coaches, and Behavioral Health Specialists, who all help guide patients through the complex health system and ensure their care addresses the whole person, not just symptoms. Convenience: 24/7 access to doctors by phone for urgent needs, same/next day appointments, onsite labs, and locations with free parking. Access to Iora’s Chirp technology, a proprietary medical record that patients can use to schedule appointments, access their records, and email with the care team. Close collaboration with in-network specialists with whom Iora has built relationships. This is the third consecutive year Iora Health and Humana have teamed up. The organizations first teamed up in 2014 and again in 2015. The new practices mean that Humana Medicare Advantage members have access to Iora®’s 16 primary care practices – five in Phoenix metro, two in Tucson, five in Denver and four in Seattle. 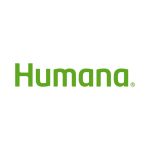 As of June 30, 2016, approximately 61 percent of Humana individual Medicare Advantage members are seeing providers who are in value-based payment relationships with Humana. Humana’s goal is to have 75 percent of individual Medicare Advantage members using providers in value-based payment models by the end of 2017. For more information, visit humana.com/accountable-care or humana.com/valuebasedcare. Iora Health® is building a different kind of health system to deliver high impact relationship based care. With a mission to restore humanity to health care and goal to transform healthcare overall, Iora Health’s care model provides extraordinary service to patients to ensure improved health outcomes while lowering overall plan costs. Our patients enjoy the benefits of better access to care, office and non-office based encounters (e.g. phone, text messages, and email), an accessible and transparent medical record, and robust educational offerings. Our practices across the U.S. enjoy the benefits of smaller panel sizes, closer relationships with patients, and the opportunity to lead systemic change in health care delivery while working with a true team. For more information, please visit www.iorahealth.com. Humana is a Medicare Advantage HMO, PPO and PFFS organization with a Medicare contract. Enrollment in any Humana plan depends on contract renewal. Humana is a Coordinated Care plan with a Medicare contract and a contract with the Washington Medicaid program. Other Physicians/Providers are available in our network.